For years, I’ve been reading an endless stream of rants from progressive socialists who have gone on and on, ad nauseam about how Mike Harris destroyed the health care system in Ontario by closing 29 (or 32, depending on who you ask) hospitals across Ontario. Just recently (2014) an article in the Canadian Medical Journal, by Charlotte Gray, an Ottawa-based reporter, cited “40 hospitals”. Amazing that although Harris has been out of office for almost 13 years, he’s still closing hospitals. Charlotte Gray, incidentally, has received awards for her outstanding journalism. How ironic that she continues to perpetuate this outrageous lie, without doing any background research whatsoever. So I took it upon myself to do a little research and this is what I found. Here’s the list of hospitals that the Liberals and their minions have been saying that Harris supposedly closed. I decided to do a cursory check to see how many of these hospitals were in fact closed down. How? I called the hospitals. And here’s what I found…. Joseph’s Hospital (Brantford) — still there….was amalgamated with Brantford General Hospital. The original building is now a long term care facility. It also houses an FHO, a urogists office, outpatient nursing facilities among other services and has a direct relationship with a wonderful hospice for the dying. (updated June 2018) ** Thanks to Ronald and Dave for the updated information. St. Thomas Psychiatric Hospital — Closed in 2013 — Once again, that would be under Kathleen Wynne’s watch. Salvation Army Grace Hospital (Ottawa) — Now a retirement home. Pembroke Civic Hospital – Still there, although now a lab. Patient care was amalgamated with Pembroke Regional. Sudbury General Hospital – (See above) — amalgamated with Sudbury Memorial and Laurentian Hospital and relocated into a new facility that was completed in 2010. Hogarth-Westmount Hospital (Thunder Bay) – still there, never closed. Now a long term care facility. In Ottawa, there was an ‘amalgamation’ of sorts, regarding Hospitals. The Civic and General became the ‘Ottawa Hospital’. The Riverside is in very close proximity to the General Campus, CHEO, is beside the General. The need for another hospital in such close proximity to those, was redundant. The Riverside became a facility for testing, screening and minor surgeries. In addition, around the same time, the Queensway Carleton Hospital was developed and expanded. As it is more deeply in the West end of Ottawa, it helped service the needs in that region. ← Ontario: Hey, just what’s in a billion these days? Hotel Dieu grace hospital site was closed and building was knocked down. Also There was the Windsor west hospital that is now a long term care facility. We didnt have hallway healthcare until 15 years of liberals and that’s a fact. But they always bring Harris up. From walkerton to healthcare….its getting old. Thanks for the information, Chris. Do you know when it was closed? I’ve checked into it and updated the list. Hotel Dieu in Kingston, ON is near Kingston General Hospital. HDH used to be a functional community hospital it’s now a collection of clinics, a day surgery centre and urgent care from 0800-2200. I wouldn’t say it’s closed, but it’s not a hospital either. At KGH there’s 25-30 admitted patients in ER most of the time, the hospital operates near or over 100% capacity. Hallway nursing is an everyday occurance whether its the admitted patient or the ER patient parked in the hallway of ER. When there’s too many critical ICU patients overflow happens into PAR or CSU, which affects the functioning of the OR. There’s a ripple effect with too many patients in any of the departments. Having a less acute hospital nearby would be wonderful. A lot of the problem is inadequate forward flow; there’s a long waitlist for seniors facilities with nursing services – both assisted living and total care. So there ends up being seniors living at the hospital while waiting for a nursing home bed – which isn’t good for them either. There’s also a backlog with setting up community services for people that can go home with care. It sounds like inefficiencies in the system but across the board all programs are planning for early discharges. As a result the people working in these roles to help discharge patients are overburdened. There’s no inefficiencies in the system left to fix; there’s too much being asked of the system. The health care system depends on human beings, not machines that can be programmed. There’s too much being asked of the system while at the same time there are perfectly good hospitals capable of providing 24 hour care that are being under utilized as clinics. Thank you Stacy. We count on people who live near these facilities to give us more accurate information. I can only go by what I’m told at the time that I call them. I will make note to see your comment. St. Joseph’s hospital in Brantford was not “downsized” to a clinic!! Are you serious??? Have you seen it? A 5 storey “clinic”!!! It has been turned into a hospice for the dying, hardly a clinic…. That’s what I was told when I called them. If that is incorrect, thank you for the updated information. We rely on people who are in the know to advise us with the correct information. Thank you, Ronald. I will update the article. Not quite accurate. St Joseph’s Brantford was amalgamated with Brantford General Hospital in 1999 (I believe). The physical plant is now a long term care facility. It also houses an FHO, a urogists office, outpatient nursing facilities among other services and has a direct relationship with a wonderful hospice (as mentioned above). Thanks for your input Dave. I will update. 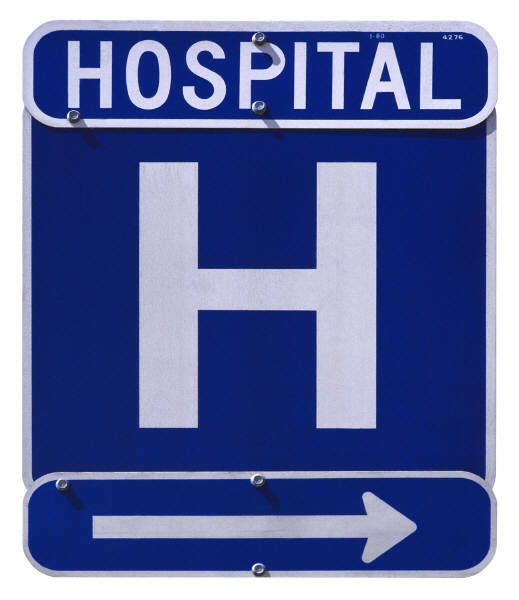 Many of those amalgamated hospitals resulted in fewer care beds. Sudbury lost 230 beds. More beds then either of the 2 merged hospitals had – went from 670 to 440. Wonder why there is hallway medicine. While you try to justify Harris how about researching the whole truth instead of a slanted half truth. You are no better than our politicians! You apparently are missing the point. Mike Harris did not close 28, 32 or 40 hospitals as has been said for almost 20 years now. Some of the ones that were amalgamated were because the older hospitals were in such disrepair, they were either dangerous to keep open, or would have cost too much to renovate. I’m not making any of these things up. This is what I was told when I called each facility. You might want to check into how many hospitals the Liberals have actually closed since taking office. How many previously covered OHIP services are now user-pay. The “health premium” that we’ve all been paying since McGuinty’s first year — 2003 — was supposed to be used ONLY for health services. That’s what Dalton promised us. 14 years later, we found out the funds actually went into general revenue and used for everything else. Our health care services are in crisis mode because of 15 years of gross mismanagement by the Liberal Party. Billions and billions of dollars lost to scandals and incompetence that could have gone towards healthcare. Very interesting article. Thank you for providing more in depth research on this topic. I would be interested to know how many acute care beds have been eliminated over the years. Clearly some of these health care buildings are being re-purposed for long term care or out patient clinics. But the bottom line is the acute care availability seems to becoming increasingly more scarce with a big emphasis now on early discharge, sending them back into the community as early as possible into the community…quite often resulting in re-admissions. Please also note that there are several psych hospitals that actually did close. These patients that were deinstitutionalized now take up a lot of resources in our emergency rooms and acute care beds in hospitals. That’s one area that I haven’t delved into, very much. I do know that some psych facilities closed under the Liberals. Not sure about during the Harris years. I appreciate your feedback, Johanna. Thanks.